Persons with disabilities cannot be treated less favorably to those individuals without disabilities. Treatment includes making reasonable accommodations and reasonable modifications. 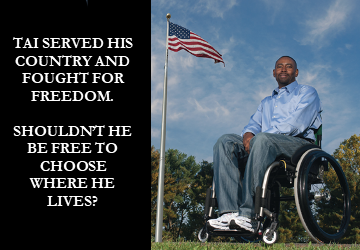 Reasonable accommodations would be making an exception to a rule to accommodate someone. An example would be if an apartment complex had a "first come, first served" parking policy but a tenant has a disability that prevents him from walking long distances. In this case the landlord would need to make an exception to the parking policy so that he could accommodate this tenant. A reasonable modification is a change to a physical element of a dwelling. An example would be if someone who used a wheelchair needed wider doorways and asked the landlord if the doorways could be widened at the tenant's own expense. The landlord would need to allow this modification so that the tenant could have full use of the living space. (Note: sometimes the tenant may need to restore the interior living space back to its original state depending on the modification when they leave.) Additionally, persons with disabilities may not have conditions placed on their residency. An example would be if someone had a service dog and the landlord required them to make a pet deposit or pay an additional fee each month for the animal. Often times in housing situations potential buyers/renters will be asked if they are able to live independently. This type of questioning is unacceptable under the law. Buyers/renters should only be asked normal questions such as if the tenant can afford rent, if they can comply with residential rules, if they will cause damage to the unit and whether or not they will pose an immediate threat to others or property. Independent living should not be a concern, having family or a caregiver assist with the tenants living would be the same as having a cleaning service come into clean one's home. However, it is ok for a landlord to ask if the person has ever been convicted of manufacturing or distributing illegal drugs. The landlord may also ask if the person is a current user or abuser of illegal drugs. A disabled person may be turned away for one or more non-discriminatory reasons or if the tenant will be a threat to other tenants. The federal Fair Housing Act is the broadest of the three laws that cover fair housing with regard to people with disabilities. It provides for dwellings, which basically consist of any place that is intended to be occupied by someone as their residence. No one can discriminate against someone who is trying to buy or rent a dwelling because they have a disability or someone associated with them has a disability. Anyone associated with the resident should be able to have full enjoyment of the dwelling as well. An example of "being associated with a person with a disability" might be if a tenant's son brought groceries over once a week and he had difficulty walking long distances. The tenant's unit is far from any accessible parking. The landlord would need to accommodate the son if the tenant requested a parking space. [Resources - see HUD/DOJ Joint Memorandum on Reasonable Accommodations and/or www.bazelon.org for sample reasonable accommodation request letters]. Also a tenant may request a reasonable modification at their own expense. [Resources -- see HUD/DOJ Joint Memorandum on Reasonable Modifications]. 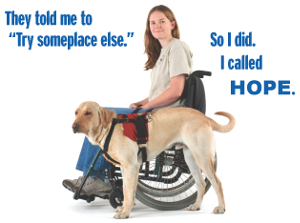 Persons seeking information and/or assistance with a request for reasonable accommodation or modification may contact HOPE Fair Housing Center. The Act also implemented requirements for new construction built after 1988. This requires that all multi-family projects have at least 5% of units fully accessible to persons with mobility impairments and 2% of units fully accessible to persons with visual and hearing impairments. The Act also regulates substantial alterations of projects. If a federally funded housing project with 15 of more units is undergoing an alteration that that will cost 75% or more of the replacement cost of the building then accessibility requirements must be met. 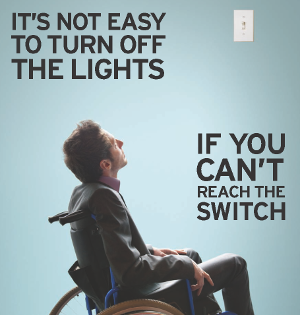 The alteration accessible requirements are the same as new construction requirements, 5% of units need to be fully accessible to person with mobility impairments and 2% of units need to be fully accessible to persons with visual and hearing impairments. The American's with Disabilities Act has two sections relevant to housing, one section covers private entities and the other covers public entities. Public entities include state and local governments and any of its departments. Private entities that are covered under the act are any private places that offer public accommodations. In housing, that would include areas such as leasing offices and public parking. "Shut Out, Priced Out and Segregated: The Need for Fair Housing for People With Disabilities: A Public Policy Report and Recommendations"
This report examines the barriers people with disabilities face in housing and offers recommendations for improving the stock of accessible housing. The report was produced by Metro Fair Housing Services, Inc. with major support from A.G. Spanos Companies, one of the largest builders of multi-family housing in the nation, as part of a settlement with NFHA, Metro Fair Housing Services, Inc. and other plaintiffs. The report focuses on the state of Georgia, but most of its findings are relevant to communities throughout the nation. Please use this resource to advance the work of fair housing for people with disabilities." View report.